Order Mac Text SMS Software - Professional to send bulk SMS, notifications, reminders as well as alerts. Software sends group text messages from Mac using GSM and Android mobile phones. Send bulk SMS to individual or group of phone numbers. Provide option to send standard SMS or notification as per your need. Exclusion list wizard option to manage list of contacts or groups. No internet connection is required to send SMS while using this software. 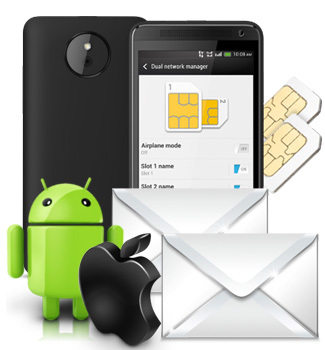 Supports Android as well as GSM technology based mobile phones.